Since Canada has been undergoing it’s wide scale urbanization over the past several decades, people have gotten further away from the land. By that I mean, it is widely held that food comes from a grocery store, packaged in plastic. It’s clear that there is a veil of cellophane over many peoples’ eyes about the truth. Our food doesn’t come from a grocery store. It is produced on the land, be it meat, grains, dairy or vegetables. There are still a select few who live closer to the land than many of our urbanized counterparts. I include myself in the former group. 🙂 I admire many of the elderly people I know (I’m talking 90+) who lived growing up on the farm. Having chicken for supper meant walking down to the chicken coop, axe in hand. A far cry from today’s styrofoam container experience! I decided to put together this little photo-essay documentary about the “organic” experience that hunters still have with the land, the animals they hunt and/or farm, and the end result of that labour: food for the table. More specifically, smoked sausage made from deer, moose, elk and pork. All the shots here were taken on either a cellphone camera, iPod camera or Nikon V1. Venison is lean & organic! Nobody likes killing, but it is a necessary step. After slaughter, the hogs are cleaned, split and left to cool. Here’s where the secrets lie! It’s all in the spice. The venison and pork are weighed out for proper mix ratio: 60/40. 700 pounds or so getting happy happy! A taste of the freshly made smoked sausage in the works! Finally, from field to table! Delicious! And we know exactly where our food comes from and what’s in it. 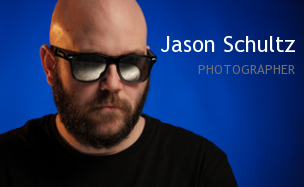 This entry was posted on January 25, 2013 by schultzphotographic. It was filed under Event Photography and was tagged with Camera Phone, Documentary, Farming, Hunting, iPod camera, Nikon V1, Organic, Photos, Sausage, Sausage Making, Smoked. Reminds me of Dad’s homemade sausage. Mmmmmmm. Thanks for the great memories!